Fall is here and we couldn’t be more excited here at Zebit! As one of our four favorite seasons (our team can’t seem to pick a favorite) we decided to highlight a few collections that are perfect for fall. We have some stylish Fall Fashion items that you and your bank account will appreciate thanks to our 0% APR payment plan to some awesome fan gear that will complete your man cave. These items just go to show why fall is one of the best seasons of the year. We continuously add to our line of products in order to ensure that you’ll be able to find what you need and want on the Zebit market. Just recently we had the opportunity to add fan gear to our product line and we think you’ll love our selection. Even though your San Francisco 49ers aren’t looking to great on the field this year, you can still look great on the golf course with a 49ers Branded Golf Carry Bag for only $25.90 due today and pay the rest over time at 0% APR. 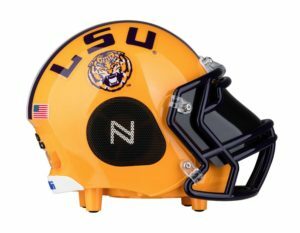 In addition to looking the best on the golf course, your man cave will be the source of envy among your friends with these Bluetooth Speaker Helmets from your alma mater. That’s just the tip of the iceberg when it comes to the new fan gear here at Zebit. We have hundreds of your favorite baseball, basketball, hokey, and football pro and college teams in all the fan gear you’ll love this fall. 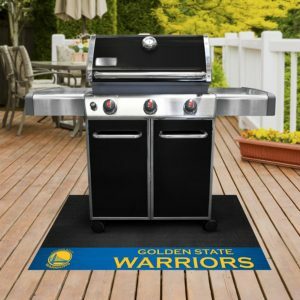 Shop car mats, home rugs, BBQ mats, lunch coolers, branded crockpots, and more in your favorite team colors. Ladies (and guys), if sports aren’t your thing, we haven’t forgotten about you this fall. We’ve launched our own Fall Fashion collection that includes sleek watches, killer deals on makeup, stylish wearable accessories, and so much more. With over 40 brands, you’ll be sure to find something you’ll love all for only 20% due today. 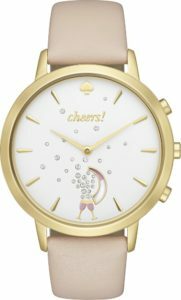 One of our most popular items this year is the Kate Spade New York Stainless Steel Metro Grand Hybrid Smart Watch. Available in both gold and rose gold styles, this watch not only acts as fashionable timepiece for a variety of looks but also links directly to your smart phone in order to provide you with alerts and other features all for $33.33 due today through Zebit. And while it may not have the high tech features, the ELITE Ralph Lauren Newbury Double Zip Satchel is proving to be another popular item this year. 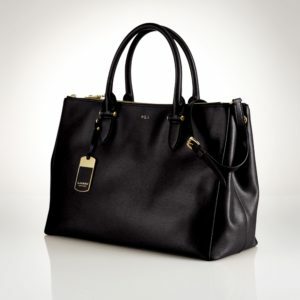 Pulling its inspiration from fine luggage with its luxurious leather, polished signature hardware and protective metal feet it’s the perfect bag for all your nine-to-five responsibilities while providing you with the iconic Ralph Lauren look. The month of October is special to us, not just because it’s a part of the fall season but because it is also Breast Cancer Awareness month. 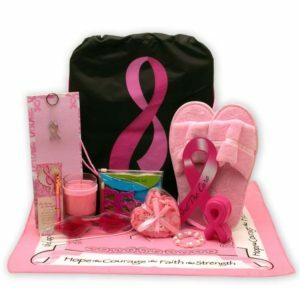 During the month of October Zebit will donate $5 to the Breast Cancer Research Foundation with every pink product purchased through our Breast Cancer Awareness Collection. While sports, clothes, and shopping are some of the many reasons why fall is one of our favorites seasons it’s the people that we get to share these experiences with that makes fall so special. Previous: Member Appreciation Month is in Full Swing!